Our analyses on the Dutch and Italian demographics recently went under “fact-checking” by Sara Pellegatta1)#ElectionWatch: Murky Metrics in Italian Migration Debate, Medium 2018-02-07. of the “Digital Forensic Reseach Lab” of the Atlantic Council. she opens by stating that we claim that Italians will be soon a minority within their own country. Our study says it will be around 2080.2)The incredibly shrinking Italian population: by 2080, Italians will be a minority within their own country, Gefira 2018-01-18.Now, while “soon” does not have a specific quantification, 2080 is not exactly around the corner. Her statement is rather distorting. 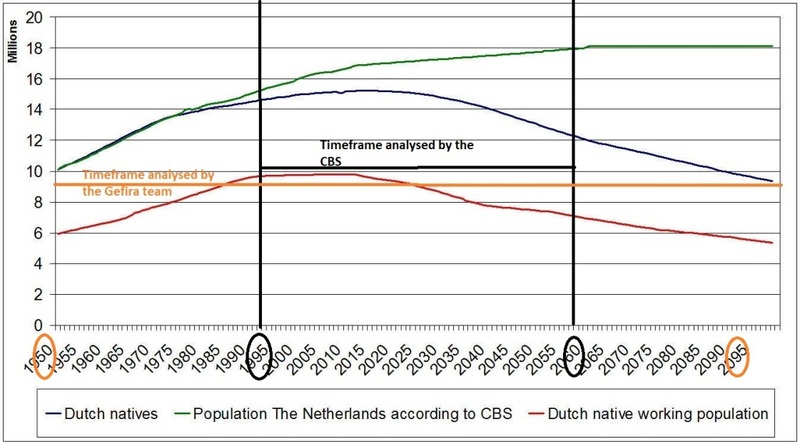 Further in the article she compares a study by the Dutch statistic agency (the CBS) with ours, making a similar assessment: At no point in our article on the Dutch demographics do we claim that “the Dutch population will disappear in the next few decades”. We state: “Cerberus on the other hand shows that in 2015 the Dutch population started to decline rapidly and in 2060 there will be 12 million Dutch left while at the end of the century there will only be 9 million native Dutch.3)Cerberus 2.0 predicts with scientific precision the disappearance of the Dutch population, Gefira 2017-06-05. Unlike the previous preferred wording, this one is simply false. “Minority by the end of the century”, our claim, does not match what Mrs. Pellegatta claims in her article “will disappear in the next few decades”. She further claims that the CBS study disproves our projection. Let’s put both side by side Above is the CBS study, making a projecting starting in 1996 and ending slightly after 2056, in 2060. 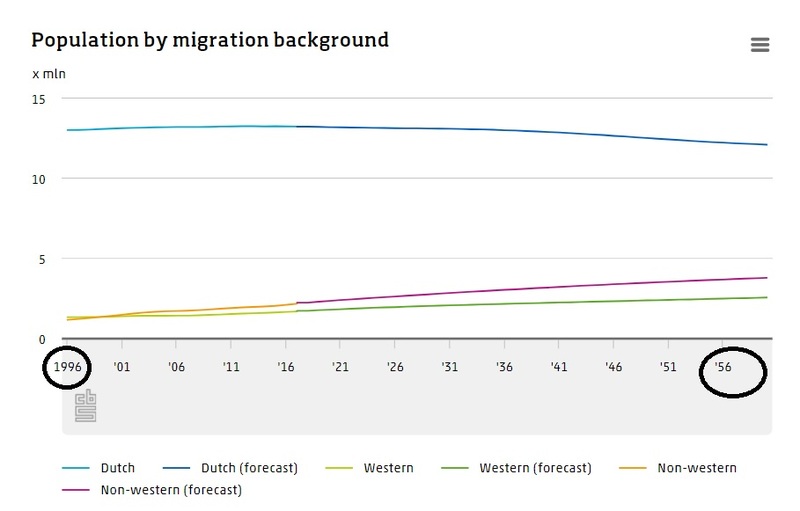 The estimate of the CBS is that by 2060, the total population in the Netherlands will be between 17.2 million and 19.7 million, and that “over the next few decades, the population of the Netherlands will grow solely on account of migrant arrivals, against a decline in the number of native Dutch inhabitants. As of 2017, 23 percent of the population have a western or non-western migration background. This share is expected to reach 34 percent by 2060″. Let’s compare those numbers with our projection: As the chart above shows, our projection focused on a longer time frame, from 1950 to after 2095. A total population in the Netherlands of roughly 18 million by 2060, which is in line with the fork 17.2-19.7 projected by the CBS. A native Dutch population of roughly 12 million (the CBS chart says 12.09) and a population with migrant background of roughly 6 million. Basic maths says that 6 million out of 18 is 33%, very close to the 34% claimed by the CBS for 2060. The numbers posted by the CBS are very close to ours, within the standard deviation error. Mrs. Pellegatta’s claim that “they do not validate” our analysis is simply wrong. If anything, they prove that our methodology is correct. The only noticeable difference between our projection and the CBS one, which is what might have induced her misjudgement, is that we cover a longer time frame, 150 years instead of 65. In this longer time frame, at the current trend, the Dutch population would continue to shrink, while the foreign population will continue to grow. 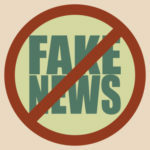 We therefore would like to invite Mrs. Pellegatta to correct her fact-checking, as our allegedly murky analysis is actually confirmed by fact-checking with CBS data. we do not have any connection with Lega Nord politician Lorenzo Fontana. We never met him. He does not even follow us on Twitter. It’s within his rights and freedoms to use our demographic analysis. The same can be said for Casa Pound candidate Simone Di Stefano. we have no association with any of the websites, apart from newropeans, listed in Mrs. Pellagatta’s article that reported our study. We do have an agreement with a couple of websites that are allowed to reblog our contents, but none of them is actually listed in her analysis. we would like to understand why the UN Declaration of Human Rights of Indigenous People should not count for indigenous Europeans. the legal action by Mrs.Calliol and her daughter failed. as far as George Soros is concerned, we were reported to the EU Disinformation Review, by the organization Kremlin Watch, part of the European Values think thank,4)European Values 2015 Annual report, European Values.funded by him. Similarly, another attempt of slander was made by Costanza Hermanin, a former senior officer of Soros’s Open Society Foundations. Finally, the Atlantic Council is also funded by Mr. Soros.5)Annual Report 2016-2017, Atlantic Council.It seems that the only people who have problems with our work and regularly slander it are paid by him. It bodes ill for the future of democracy and our freedoms that a foreign oligarch is allowed to meddle freely in the political arena and try to silence voices of dissent. Nonetheless, we trust in her intellectual integrity and we invite her to check by herself whether the claims in our demographic study for the time frame 1996-2060 correspond to the CBS projection. If they do, and they do, we would appreciate it if she could rectify her report. We are open to any enquiry on the topic. 2. ↑ The incredibly shrinking Italian population: by 2080, Italians will be a minority within their own country, Gefira 2018-01-18. 3. ↑ Cerberus 2.0 predicts with scientific precision the disappearance of the Dutch population, Gefira 2017-06-05. Prev: DACA: are Republicans about to gift Texas to the Democratic party? Your grafic is not exactly right, you suppose to much working people. + We stick to the 15-65 or rather 20-65 cohort as a realistic working-age definition. It seems the CBS use this 15-75 range to bring migrant working-participation in line. There are no migrants in the age cohort 55-100 while there are hardly any natives in the labor force above 65. We are extreme careful with our predictions, and do everything to get numbers right. In this projection native fertility rate is to high and as a matter of fact the situation for native Europeans is even worse.